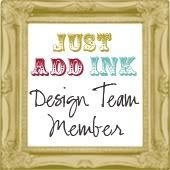 days to just one craft past time as I had to more when I had larger design commitments, I have reconnected to my former craft past times, so being this is my personal blog, from time to time you may get to see my sewing, painting, photography as much as my papercraft aspect. I have scrapped this year believe or not that is when work doesn't take the better part of my energies like a lot of us. I had my right hand operated on, was suppose to have both but for practicality had them done one at a time- would like to explore other solutions before considering doing the left side. But you can't keep a woman down long so here is some show n tell. I should mention that scrapping wise I decided to go 8 x 11 size from here on, thats not saying that pages from previous years will still have to be scrapped in 12" x 12" to finish them off. I will say this these size albums are very hard to acquire at least in variety, thankfully I have gotten my hands on some from Coral Coast which are termed as A4 in size- I have previously used these and they are of excellent quality. 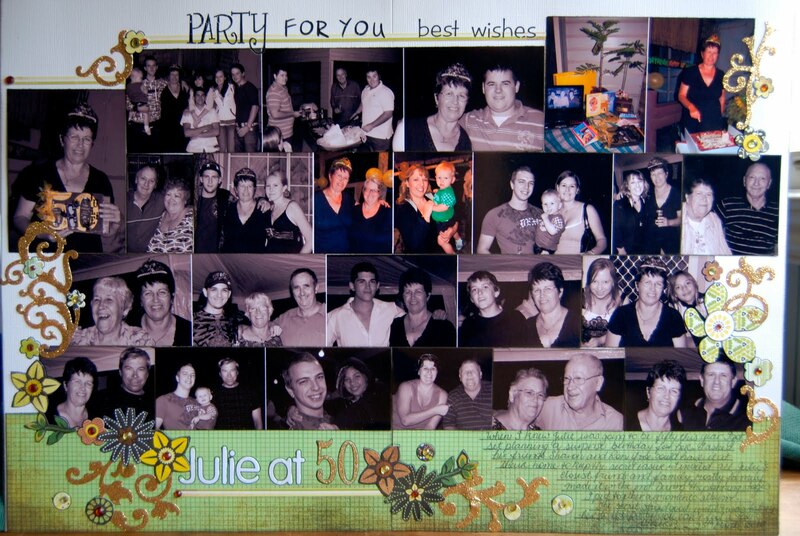 The 1st db layout is of my SIL's surprise 50th I organized for her. there is 24 photos on that layout- smaller format doesn't mean you have to discount the amount of photos you need to tell the complete story. The card was made for my mum who recently turned 80! Here is another double. I have no idea why after joining the two sides they show up slightly different shades but this isn't the case in real life. This was one of the first doubles I did and chose landscape before I realized that they couldn't displayed in that orientation as a double in the album- duh!!! Live and learn- you get the idea though. well I'm thinking that is about enough for my first post on the new blog. Promise more to come. 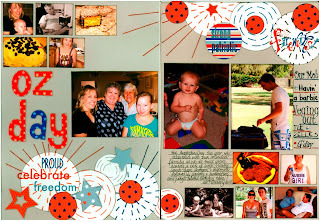 Welcome to Blogger Ruthy! Love all your Layouts! Might try doing some smaller format pages myself. 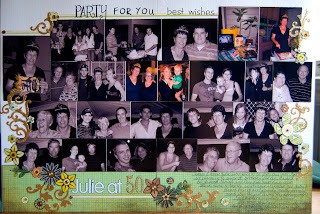 Ali Edwards mixes all sizes in her 12x12 D RIng albums, I could always do that! 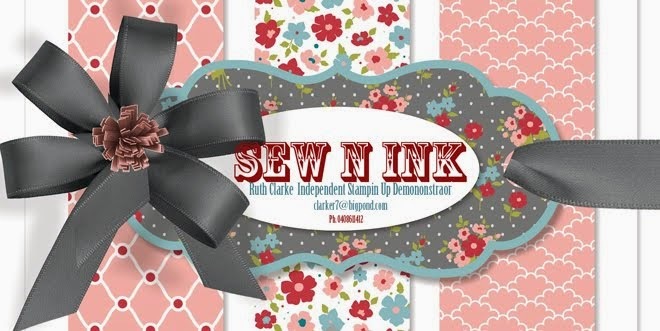 And good luck with the Stampin' Up too! Yaaay you're back! Great to see what you've been up to again....I'm off to check out your SU! site too....hope you're having fun with it all. Cheers!